Experience the beauty of the Old Town and Royal Route when it gets darker. 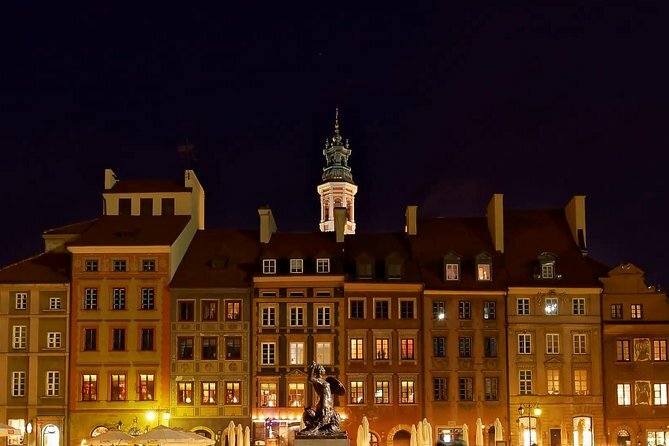 Learn about the history of the sites, about Warsaw`s turbulent past and one of the most outstanding reconstruction projects in the world history. You will have a break to try famous local sweets and Polish vodka (soft drink for non-drinkers). Discover the most breathtaking highlights as well as little-known hidden gems.